Last night I figured out how to work two methods into one good planning device. The comic throughlines (Vorhaus) that I posted last week appear in the chart above. Vertically, each character answers his or her own question from the top of the page. I reworked the answers until I liked the way the conflict locked in the story. 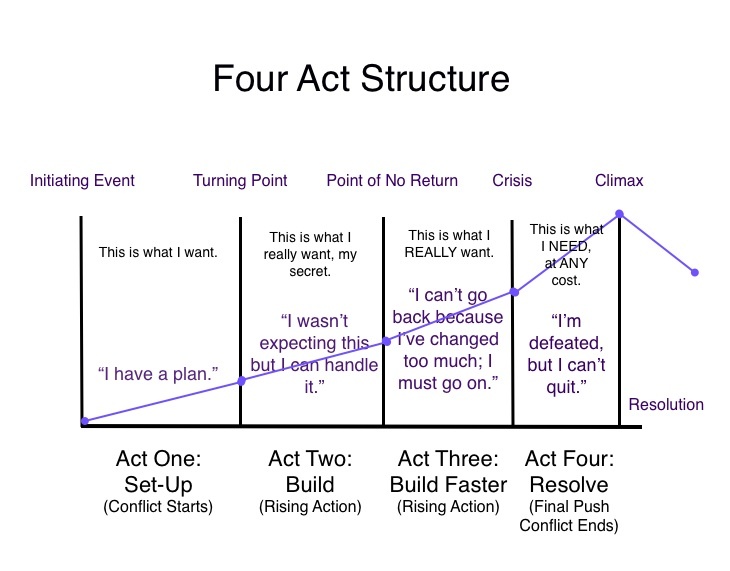 Then, I superimposed the Four Act Structure graphic (Jennifer Crusie) on top. 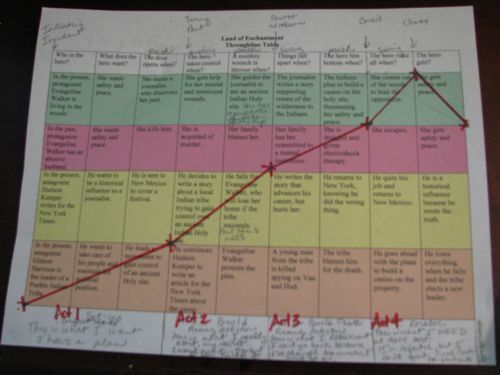 This allowed me to break the book into acts based on the throughlines. Immediately, I saw holes for new scenes.